What is the price of Xiaomi Mi 6 ? Average price for a phone Xiaomi Mi 6 is 350.35 EUR. Xiaomi Mi 6 currently costs from 232 EUR to 564.47 EUR. 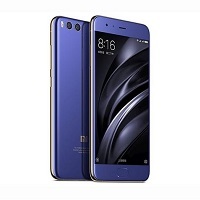 Average price for a phone Xiaomi Mi 6 is 224.94 EUR. Xiaomi Mi 6 currently costs from 115.06 EUR to 411.76 EUR.